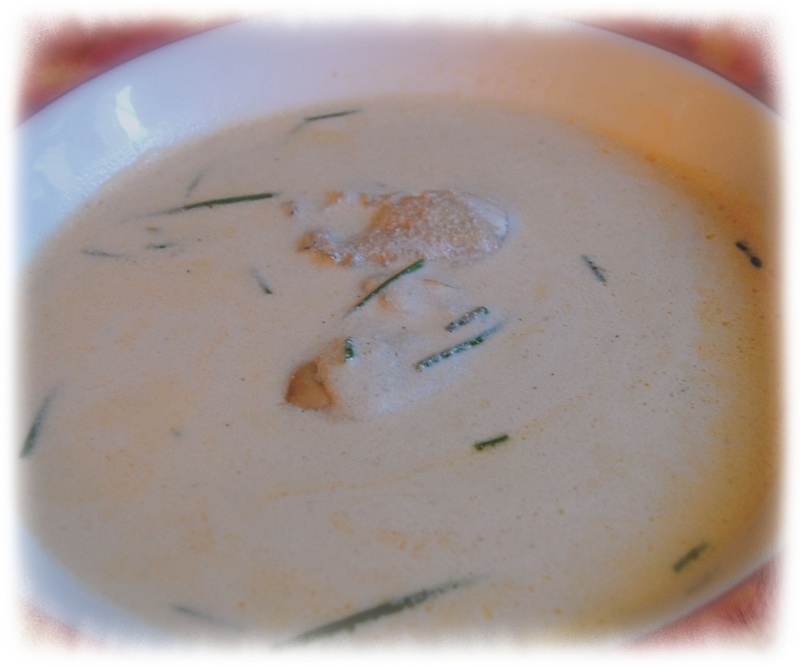 I often bring a dish to an oyster roast and usually that dish is New England or Manhattan clam chowder or a simple favorite, oyster stew. I have several recipes, but for a quick pot for last-minute company I started with a Mark Bittman recipe and made a few changes along the way. I’m not a big fan of mushrooms in oyster stew so they can be eliminated, I added sherry and a little bit of chopped celery. Top with chopped chives and a sprinkle of sea salt. Link below for mark Bittman’s NYT recipe. Lightly brown bread cubes in toaster oven or dry skillet. Set aside. Melt butter in saucepan, add onion and fennel and saute over medium heat until tender and golden. Add mushrooms and saute two to three minutes longer. Stir in the Pernod or sherry. Drain the oysters, reserving the liquor. Measure the liquor and add enough clam juice or water to make two cups of liquid. Add the liquid to the mixture in the saucepan. Add the cream to the saucepan and bring to a boil. Season to taste with salt and pepper. Add the oysters to the saucepan and simmer just until they begin to curl around the edges. Remove from the heat and divide among four shallow soup plates. Sprinkle with the croutons and fennel tops and serve at once.